It’d be hard to say that I had completely fallen out of love with Korean food, but ever since we moved back, it hasn’t tasted the same. Our first home in Jeollanamdo (southwestern province) is famous for its food and from what I understand the cuisine from our new home in Gyeongbuk (southeastern province) is infamous. I’d have to agree. One of the first plates of kimchi I got at a restaurant here was frozen. An absolute abomination to a centuries old food. Fresh food and packed with flavor seemed to be unique to Jeolla province. 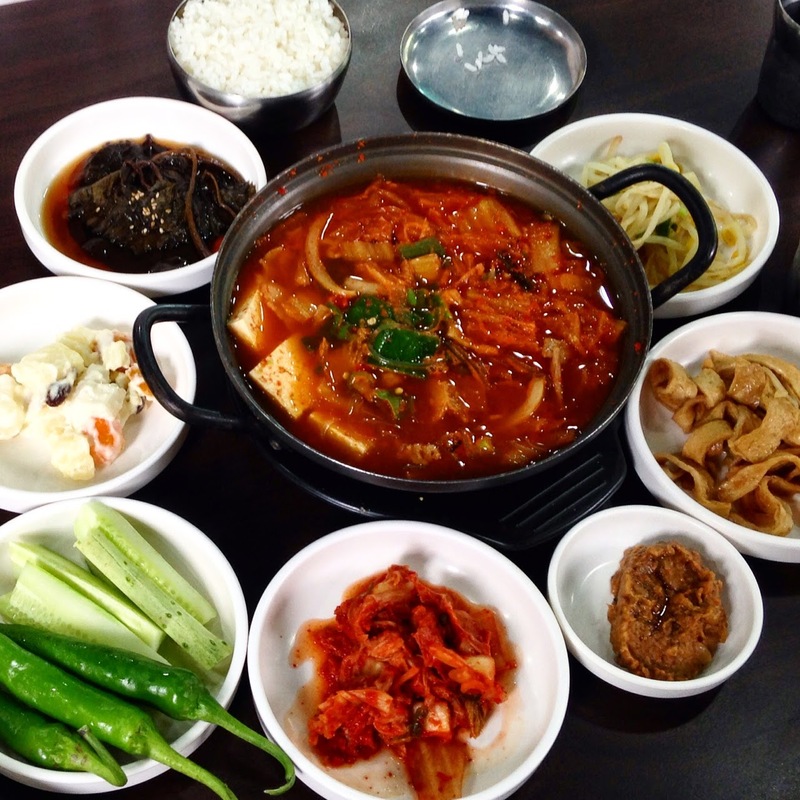 This is kimchi stew with side dishes. But the other day between my summer classes here at Yeungnam University, I went to a restaurant behind the main administration building that caused me to fall back in love with Korean cuisine. For 5,000 won, I ordered a (된장 찌개) dwenjang jjigae served with bibimbap (a surprise addition to me) served with delectable side dishes. I felt like I was having a lunch straight out of Jeollanamdo. I went back the next day after a swim and split kimchi jjigae (김치찌개) with my wife. Again, they nailed it. 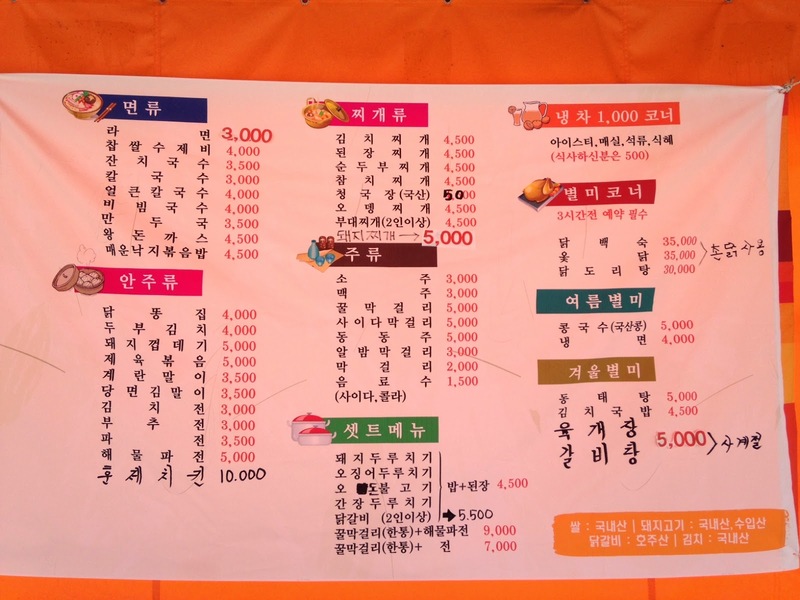 The menu is standard Korean fare. The sides are fresh, the stews full of goodness and the kimchi is fishy. It’s everything I’ve come to expect in Korean food. 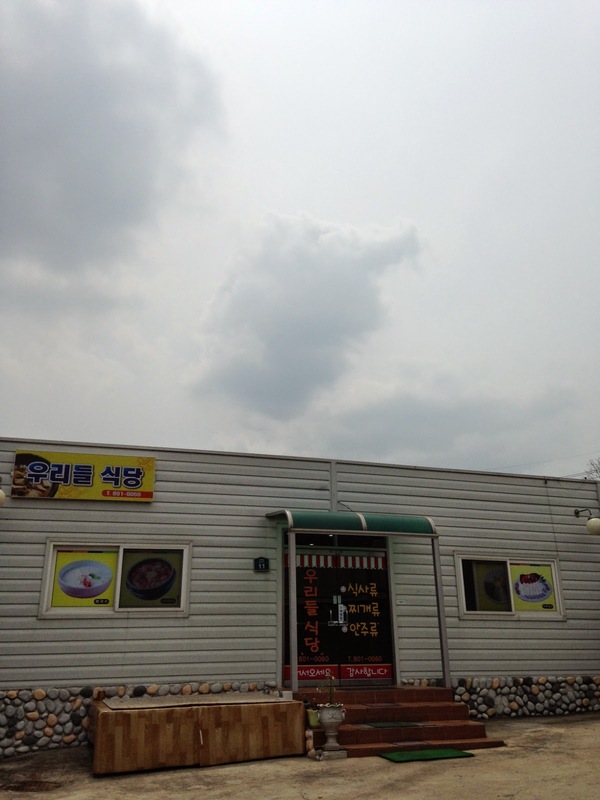 It’s among the best lunch experience I’ve had yet in Gyeongsan. The outside looks awful, but the food more than makes up for the aesthetics. 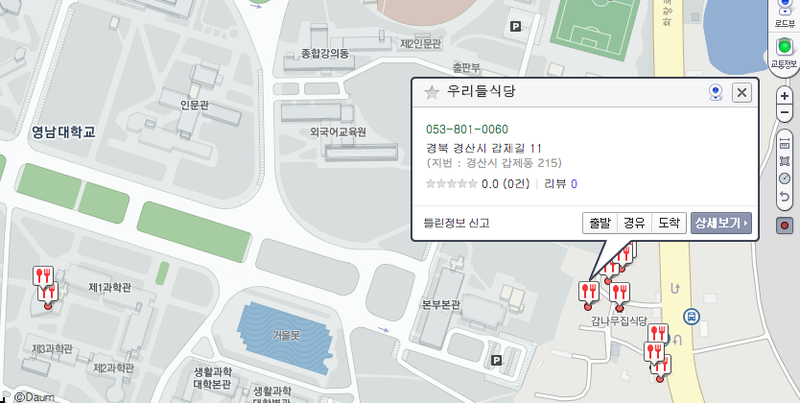 If you find yourself at Yeungnam University check out 우리들 식당. It’s to the left and behind the main building down a hidden path. It’s worth the visit. It doesn’t look like much from the outside, but the chef more than makes up for the aesthetics. She takes great care of each dish. It shows in the taste and the presentation. Her food has made me get excited again about a food I’d come to take for granted. Don’t make a special trip here, but if you are in the area for lunch, definitely give it a go!